I was interested in your post because i was one of those kids who played kinect and wii all the time. It can definitley be argued that this would not cause people to move any more however if the time would have been spent sitting down and playing video games vs. standing up and moving around, there could be a small difference but a difference nonetheless. I found a study that contradicts your findings by the University of Tennessee. There is always another story to tell, another experiment to be done. This is a really interesting concept! You would assume that an active video game would mean it actually makes kids more active, right? I actually found another study, where the results support this assumption. In this study kids were told to go outside and play for 20 minutes, while some stayed inside and played various active video games – the results found that the indoor exercise was actually more intense than outdoors! Now, because of the split consensus I definitely want this matter to be further explored! Coming from somebody who used to play a lot of video games, I found this article very entertaining. 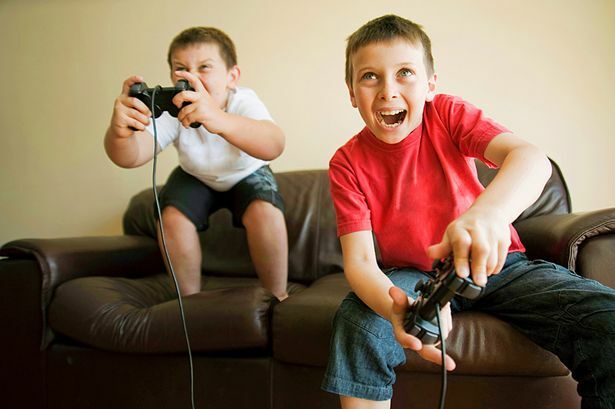 Many scientists actually believe playing video games can make children smarter. I have always known that, but I have never thought about how video games could be good physically for the body. There just simply isn’t enough movement involved even in game systems such as the Wii or Xbox Kinect. Imagine if video games which were beneficial to one’s health were created. This would truly be the best of both worlds, as children could have fun while staying fit, all without ever leaving their house. One style of gaming which could work as physical exercise would be holographic gaming. This article posted below talks about the possibility of holographic gaming, and how far we are from it.